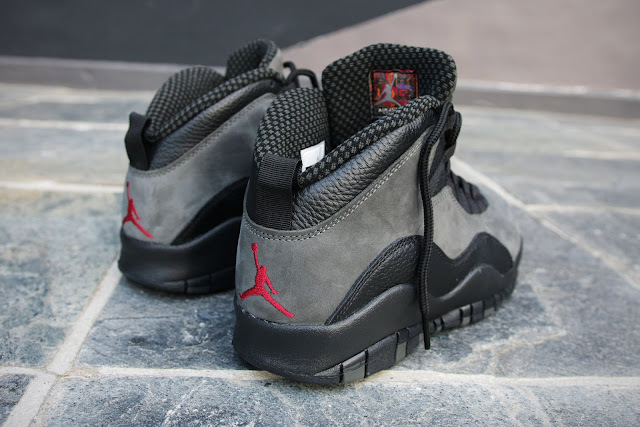 This version of the Air Jordan 10 ‘Dark Shadow’ differs from the pair that made its debut back ’94. It features a darker grey upper in nubuck that is mixed with premium black tumbled leather overlays. A checkerboard inner lining, black midsole and matching outsole with red Jumpman branding completes the design altogether. 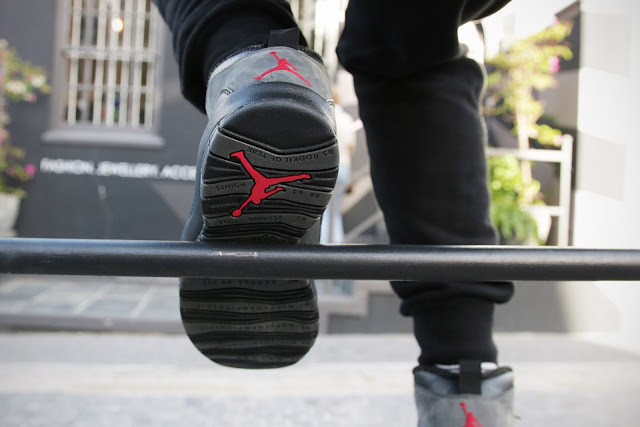 Embossed branding, nylon lace straps and the detailed outsole listing all of Jordan’s accomplishments, all remain in play. 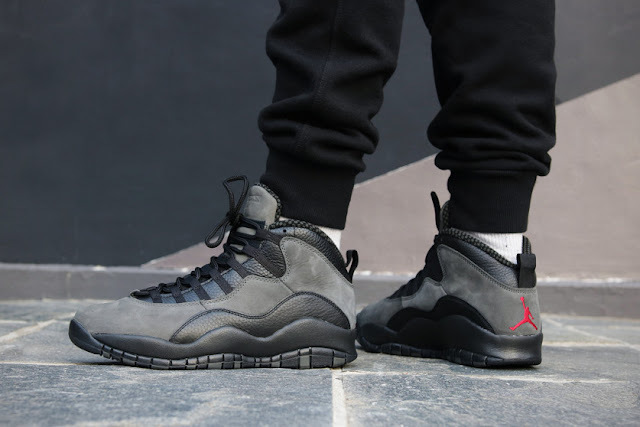 The Nike Air Jordan 10 ‘Dark Shadow’ drops on Saturday, 28 April 2018, at selected retailers.